The new Radeon Pro WX 8200 only gets 56 CU and 8 GB HBM2 VRAM, but the Vega 10 GPU can still boost to 1.5 GHz and the memory bandwidth is slightly higher than that of the WX 9100 flagship. Even with these downgrades, the WX 8200 is only ~20% slower than the WX 9100, but its price is more than halved. Gaming GPUs bring most of the graphics-related revenue for AMD, but the company also caters to the professional graphics market to a smaller extent. 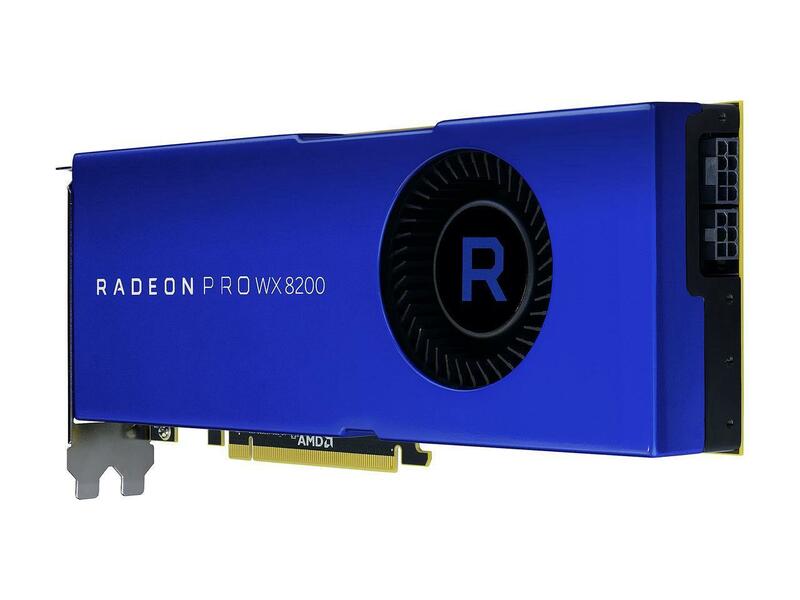 Last year, AMD launched the flagship Radeon Pro WX 9100 model based on the acclaimed Vega architecture; however, the US$2,200 MSRP was quite steep even for professionals. 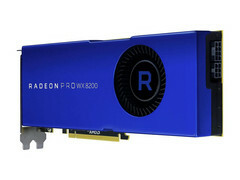 To make it easier for startups, AMD now launches the Pro WX 8200, which is almost as fast as last year’s top model, but comes with a more affordable sub-US$1,000 MSRP. As far as raw power is concerned, the WX 8200 can calculate 10.8 TFLOPS in single precision floating point mode and 21.5 TFLOPS in half precision mode, which is quite close to what the WX 9100 is able to muster (12.3 FLOPS / 24.6 FLOPS, respectively). All this despite the fact that AMD disabled 8 CU from the total 64 existing in the WX 9100 and halved the memory capacity to 8 GB HBM2 RAM. The Vega 10 GPU still has its 1,500 MHz boost clocks, and the memory bandwidth is slightly improved, making the WX 8200 a best buy for professionals working in real-time visualization, photorealistic rendering and VR development. All the premium features such as the High Bandwidth Cache Controller (HBCC), Enhanced Pixel Engine, Error Correcting Code (ECC) Memory, and AMD's Secure Processor are still offered with the WX 8200 model. While the cards will begin shipping on August 19, users can already pre-order the new WX 8200 from Newegg for US$999.